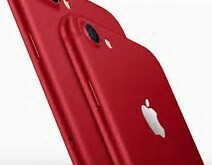 After a long delay, and a number of rumors and speculation regarding its brand re-launch starting in 2016, on June 27, 2017, it officially launched its Virgin Mobile iPhones only strategy. I was personally shocked at this highly unusual and risky approach. After all, while iPhones are some of the most popular phones on the planet, Android smartphones actually have a higher overall market penetration, and offer much greater variety, and a much larger range in terms of price and features. This partnership between Apple and Virgin was likely sparked by Sprint's struggle to position its Virgin Mobile brand amongst its Boost Mobile and Sprint Prepaid brands, coupled with the general decline in iPhone sales in the couple of years prior. Let's take a look at the offer, and some of the strategic considerations. At the time of launch, you have to purchase an iPhone SE, or a 6 or 7 series from an Apple store or Virgin's website. Any model below that can't be activated on the new Virgin Mobile plan. The plan is $50/month, and includes unlimited talk, text, and data. Note that after 23GB your data will be de-prioritized/throttled. The plan also requires that you signup for autopay. Requiring autopay to a credit/debit card helps to increase the likelihood of people paying on time, and in essence tends to eliminate the lower credit end of the market. That said, the unbanked or un-credit-worthy can still use prepaid debit cards. Though prospective customers wanting to use prepaid cards should check with the card provider, as some actually don't allow their cards to be used for automatic payments. That said, it also depends on how Virgin completes the enrollment. Generally, it's best practice to do the card pre-authorization with a note that it's for an auto payment, however, it's not required, so it may work even though the card technically doesn't support automatic payment enrollments. Think of this as a tip or loophole, as not many people know about this process. I just happen to know as I built the first automatic payment product in the prepaid market in the U.S. I'll keep my eyes open to see how Virgin has implemented its program. The Virgin Mobile iPhones only plan launched with a $1 for the first year of service offer. The offer was only for new customers who buy an iPhone, and transfer their number over, or existing Virgin Mobile customers who upgrade to an iPhone (either from a lower model, or from an Android phone). This offer, however, was really more of a marketing investment, as it expired on July 31, 2017, only 5 weeks after the program launched. Note, however, that there was one location on its website that inferred that after the limited time promotion of 12 months expired, you would still get 6 months for a $1. Time will tell whether that's a standing offer, though I expect it's also a limited time promotion. Note that the $1 offer does require that the customer pay taxes and other telecom fees on top of that (based on the actual plan value of $50), and that payments be made on a monthly basis via autopay. Don't get me wrong, that's still a great deal, however, customers should never forget to read the fine print! What's In The Inner Circle? Buy a round trip economy ticket from the U.S. to the UK on Virgin Atlantic, and get a companion ticket for the cost of taxes and fees. Get a third night free at a Virgin Hotels location. Save up to 20% when you buy a Virgin America or Alaska Airlines ticket. Get 15 bottles from Virgin Wines for $60 (a over $230). Note! You'll get your offers within 3 weeks of joining, and you get a new offer (or what they call a Virgin Perk) every 4 weeks, UP TO 3 MONTHS after you join. Again, these offers and "perks" sound more like acquisition marketing, and not real, long term value for customers. What do you think? Why Do I Think A Virgin Mobile iPhones Only Strategy Is Stupid? I can definitely appreciate the creativity behind this strategy. I can also respect the attempt to leverage the only real differentiable asset; the Virgin name. That said, and for lack of a better term, I think going iPhones only is just stupid. A number of years ago when the Apple brand had an allure of quality, innovation, and a cool factor, going exclusive would have been a decent strategy to position any carrier. However, iPhones have lost this appeal. Yes, there's still a fantastic following, and iPhones remain one of the most popular smartphones on the planet, however, they've been on the decline. The reality is that Android smartphone sales surpass iPhones. Android smartphones also come in a much greater range of costs, from the low end to the high end. The quality and diversity of selection of Android manufacturers is just so vast, and creates fantastic competition, resulting in great value for customers. Personally, I have seen long term iPhone users starting to try out Android phones out of frustrations over quality, price, value, and overall hardware and software quality issues. Apple is no longer the icon of innovation and perfection that it once was. Sidelining the vast Android customer base, and the lower cost structure of Android phones, just doesn't seem wise as a long term business strategy. Why Would Apple Partner With Virgin? When the iPhone first launched, it was exclusive to AT&T, which helped the carrier win customers at a time when the new-to-the-world smartphone was just so unique and fantastic. Even when iPhones became available on all carriers, it wouldn't allow prepaid carriers to sell it for years. Prepaid was considered too low end for its brand. When iPhones essentially became ubiquitous, Apple allowed Cricket to be the first prepaid carrier to launch it; Virgin Mobile followed thereafter, and the rest is history. In today's world, what does Apple get? As a declining product and brand (though still one of the wealthiest companies in the world! ), Apple hopes to get more sales, including those in the mid- and lower-mid-tier. At this point, anything to drive sales results is really up its alley. In other words, for Apple it's all about increasing sales. Well, this is 100 million dollar question! When I say "this", I'm pondering not only the Virgin Mobile iPhones only strategy, but also the overall brand. No doubt Apple and Virgin Mobile have a long term contract, whether that's three years, five years, or more, we don't know. Realistically, it will take a number of years to see the results of this new business plan, particularly given that they have the $1 12- and 6-month offers. Personally, I don't think this is going to work to make the Virgin Mobile brand relevant, or at least sufficiently valuable to maintain. I expect they'll see a short term lift, followed by a leveling off, and a subsequent sharp decline. Whether it's a few or more years down the road, they need to either add Android smartphones, or trash the whole brand altogether. Realistically, it will take awhile for egos to admit to letting go, however, I don't see this gimmicky approach to return any meaningful long term shareholder value. That said, I will definitely be keeping up with the company's antics and performance, and who knows, maybe I'll be wrong and people will eat this stuff up for years to come?! 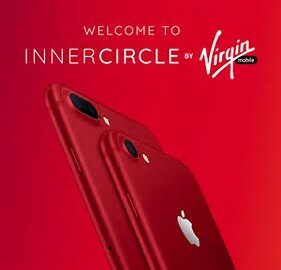 You can explore the new plan at Virgin Mobile Inner Circle.